Before we get Michael Bay’s take on the Turtles, I wanted to review the last film to feature the heroes in a half shell. After the cheesy sequels that sullied the goodness of the first film, TMNT decides to go the Highlander route and forget about the sequels and only reference the original first film, and go all animated to boot. So is this a true sequel? Absolutely, and it featured the moment many turtle fans were waiting for as well. The film opens as we get the backstory on Winters, a millionaire CEO who holds a deadly secret: that he is one of a family of warriors who nearly took over the world centuries ago, but failed. In the present day he’s about to do it again…or is he? Meanwhile, the Turtles are a fractured family. Leonardo has been sent away to South America by Splinter to trail to be a better leader, but Leo has stayed far longer than he was supposed to, while Donatello makes money by being a phone tech support for a computer company, Michelangelo works as a party mascot for kids, and Rafael has become a vigilante who now calls himself the Nightwatcher. 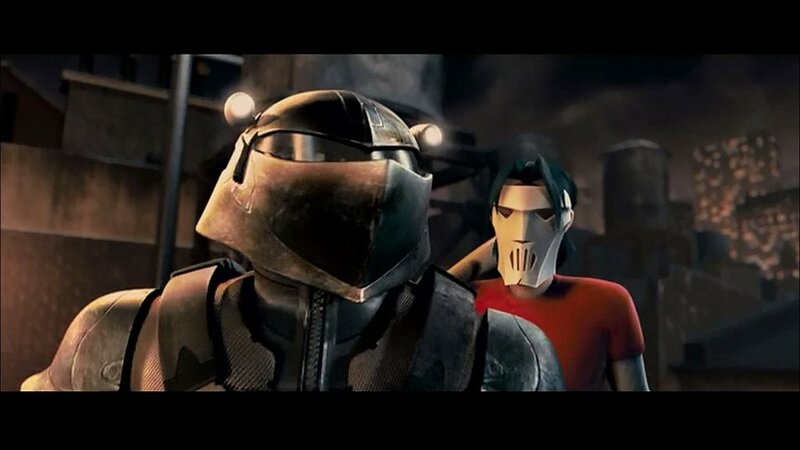 Casey Jones and April O’neill now work Indiana Jones-style collecting artifacts, and so happen to both being employed by Winters to find the artifacts to awaken his brothers and sisters…and the fact that the Foot Ninjas under the leadership of Karai seek revenge against the Turtles for killing the Shredder. 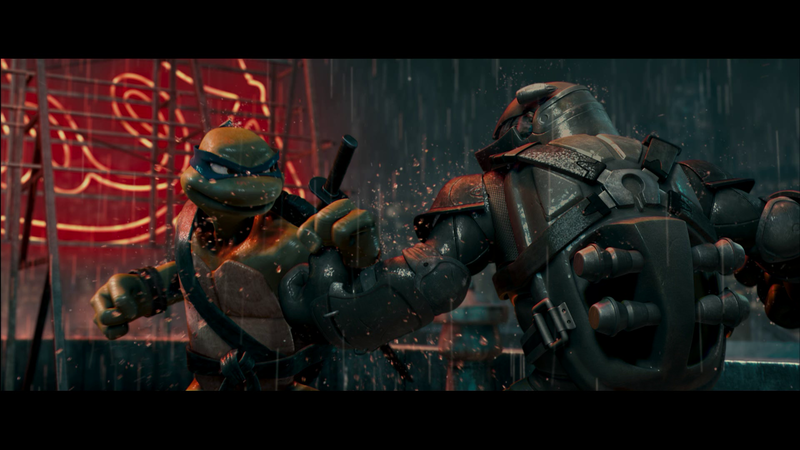 Can the Turtles come together in time to stop Winters and Karai? The story here is far better than any of the sequels, and actually feels like the true sequel to the original film. The Winters storyline is a little weak, but does fit the theme of family. The voices do their job, and the animation, while not on the level of a Kung-Fu Panda or anything Pixar, is still quite good. The turtles look great, very much like the comic book versions created by Kevin Eastman and Peter Laird. The fights here are done well, and the crowning achievement of the story and film, is the moment many fans, including myself, have wanted to see: Leonardo versus Raphael in a duel of weapons and fists. In this case I applaud the animators, because it lived up to what I had hoped for. The fight was clear and not chop-edited, and I could see all of the moves, and they looked great. Let’s see if BayTurtles can do better! A fun, rollicking Turtles Film that’s a good sequel to the original film. And no sign of Vanilla Ice anywhere. Let’s see if BayTurtles can do better! Previous Cornered Production Blog #3: Days 2 and 3! Next Farewell to the Legendary Panna Rittikrai.